Students are now able to get real hands on experience within the Law and Real Estate programmes. 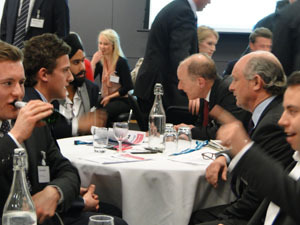 They are both voluntary schemes but they have been taken up with great enthusiasm by both mentees and mentors. The benefits to students are great from increasing employability through work experience and job shadowing to practical skills like CV writing, interview skills and of course great networking opportunities. 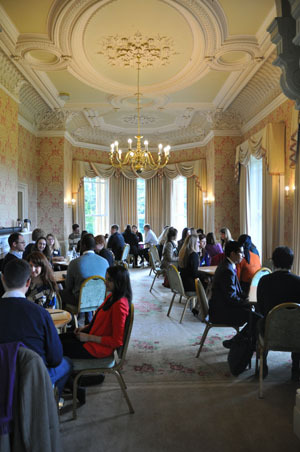 The Legal Practice Course which is a one year course for students who want to go on to become solicitors have currently got 46 mentors matched with one or two students. The mentors are often Oxford Brookes alumni who have had a good experience at Brookes and want to give back. Student Katherine Hague said “My mentor has been able to give me insightful guidance and constructive criticism that I may not have been able to get elsewhere”. Another student Callie Matthews commented “The scheme is a brilliant initiative and has given me the chance to really find out what firms are looking for and the best way to present myself to them”. "Mentoring as a power tool", said David Day Programme Lead for Professional Law Programmes, he hopes to roll out the programme to the GDL undergraduate law programme in 2014 and is also interested in exploring peer mentoring. It is being led by Principal Lecturer Gina Dalton and Rachel Dixon (Special Projects Administrator). 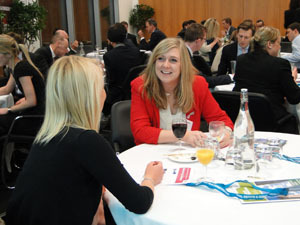 They launched on February 19 at an event (pictured below) hosted by Jones Lang LaSalle in London. The programme makes use of social media, particularly Linked In, which the students are using to view the profiles of mentors before making their selection. Students are required to create their own online profile using LinkedIn which gives them practice at presenting themselves professionally right from the start, and is also great for networking later on. Gina and her team want to keep the scheme small and flexible with just 20 mentors and 20 mentees in the first year to ensure commitment from both sides. She thanks OBREMS, the Real Estate alumni society for helping recruit the mentors and hopes these professional links will continue to flourish.